Vojvodina Football Club today presented eight new players as members of its first team. In the media center FC “Vujadin Boskov”, in the presence of the president of the club Dušan Vlaović and Manager Radovan Krivokapić, to the public have officially been presented Vuk Mitošević, Seku Conneh and the latest acquisition Bojan Matić, as well as young players who signed their first professional contracts with Voša: Nemanja Toroman, Marko Bjeković, Andrej Jakovljević, Igor Jeličić and Milan Vidakov. 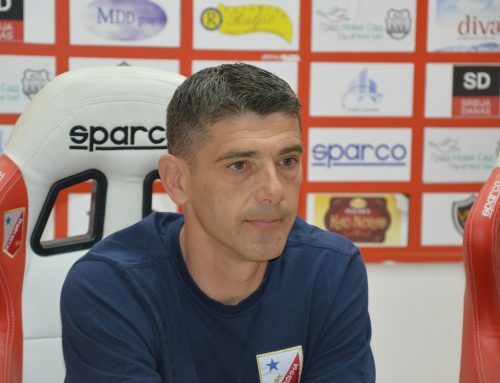 Speaking to journalists, FK Vojvodina’s president Dusan Vlaović said that the club was mostly able to do everything that it had planned in this transfer window. – Yesterday in Serbia officially ended the transfer window, during which the club service that deals with it worked well. It is known that in this transfer window we did not plan to bring a lot of players, but that we needed the players in only three positions, of which we managed to find the right solutions for the two. Still, we are very pleased that we managed to bring one of the best strikers such as Bojan Matić, who was ours, and especially my great wish even during the summer – said Vlaović. 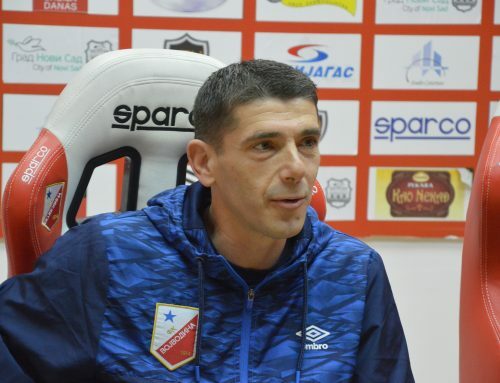 Manager of the “old lady” Radovan Krivokapić is optimistic about the second part of the season, especially now when red and whites are reinforced with the striker Bojan Matić. – During the preparations we had almost ideal conditions for work, regarding the state of the pitch and the weather conditions. I can be satisfied with the work of the players, and did we reached what we need, we will see when the season starts. Frankly, I hope that Vojvodina will be different in the spring than it was in the autumn. Analyzing the first part of the season, it was evident that we were crushed in the attack and we needed a goalscorer, which was also shown in Turkey – Krivokapić said. This winter, a 27-year-old Vuk Mitošević, after five and a half years abroad has returned to the club where he started his career and went through its Youth Academy. – I am extremely pleased to be here again and with great desire I returned to the club. 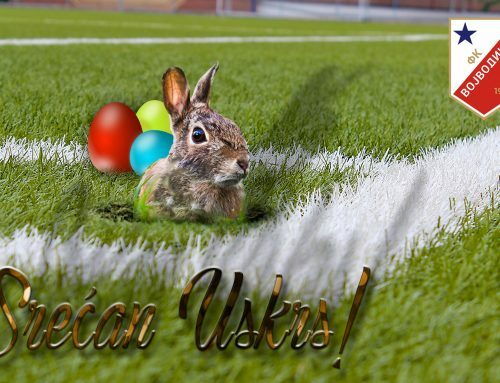 I am aware of the situation in which we are, as well as the goals that are ahead of us, and I hope that I will give my maximum contribution to bring Vojvodina back where its place is, that is, to make the best it can of this second part of the season, in order to at the end we all rejoice together – said Mitošević. After a successful trial, the contract with Vojvodina this winter was also signed by a striker from Liberia, Seku Conneh. – During the past month, I have convinced myself that the coach has a good strategy and that he forces teamwork. I hope for the best possible results and I think that we are all ready to give our maximum for this. Vojvodina is a big club and I’m happy to be here – Conneh said. On the last day of the transfer window, Vojvodina has engaged in a huge reinforcement in the offense by signing a former Seoul player, 27-years-old Bojan Matić, who signed a two-years contract with the “old lady”. – First of all, I want to thank everyone who participated in my transfer to Vojvodina, primarily to the club president and the Manager. This is a great moment for me, because I achieved a boy’s dream to play in such a big club. Already on Sunday, I will engage in serious work with the team and I am here to give my best to help the team be better placed at the end of the season. However, we need to talk about it on the pitch – Matić said. 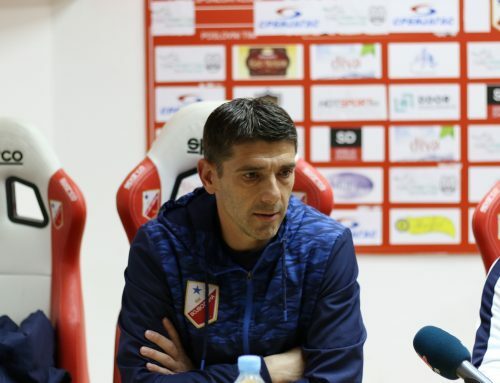 On behalf of the Vojvodina’s young players who signed the first professional contracts with their club this winter, the captain of the youth team of Vojvodina Igor Jeličić expressed his satisfaction and readiness to continue the same way they went in the younger categories. – I thank the management of the club for the trust shown and the fact they have offered us professional contracts, which is a great honor and privilege. I’m sure that each of us has dreamed of something like this since the first day when we began to train football in these fields. We went through almost the entire Youth Academy and had a lot of success, and I hope that we will continue like this in the senior team. It is up to us to justify the trust that was given to us – Jelicić said.